Your search for a perfect holiday destination in Far-East should stop with Cebu. Cebu, the lush tropical island in Philippines has everything to offer you, you will revel in the sun drenched beaches, the slightly rising and falling hill trekking routes, the diving spots off the island and the rocking nightlife - all will combine to offer you one of the most memorable holidays of your life. The island was once under Spanish colonial rule, you will be able to go through the relics of Spanish rule. Cebu has several smaller islands which are the perfect places for you to loll around. Spend some days in Sumilon Island, Cebu to reconnect with yourself. 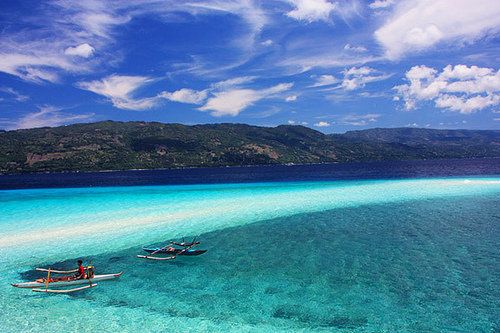 Sumilon Island, Cebu, is one of the most attractive tourist destinations in Cebu. It is situated just off the southern town of Oslob. Here nature is in her pristine glory, you will find a whiff of adventure too. Something for everyone, this best describes Sumilon Island. If you think that an island holiday means only lazing on the beach, then you can think again. Here you must visit the Marine Sanctuary, nature park, caves, boating cottages, lagoons and footpaths around the tree park. The azure sky and the crystal clear turquoise water coupled with the white sands will surely enamor you. And if you are with your beloved, then imagine the joy of walking into the sunset every evening with her! how much po ang rates niyo? This is a sister company of Blue Water in Mactan. If you do not wish to stay overnight at Sumilon, a day tour from Cebu City is possible. Be sure to go early to be able to enjoy the island's different activities. You can find company offering accommodation packages on the web. Thank you and Hope we are helping you. if i would be going here on latter part of october 2013, how much would this cost me? I read your blog. Such a great information. If anyone wants to enjoy in Sikkim then come with us and get Tour package to Sikkim in unique and lowest price.